People use the term ‘race car for the street’ to describe all kinds of cars, but it’s hardly ever actually true. Motorsport demands so much of a car that it could never truly meet the rigorous demands of daily use. Race cars are optimized for smooth racetrack surfaces, not the pockmarked streets of workaday life. 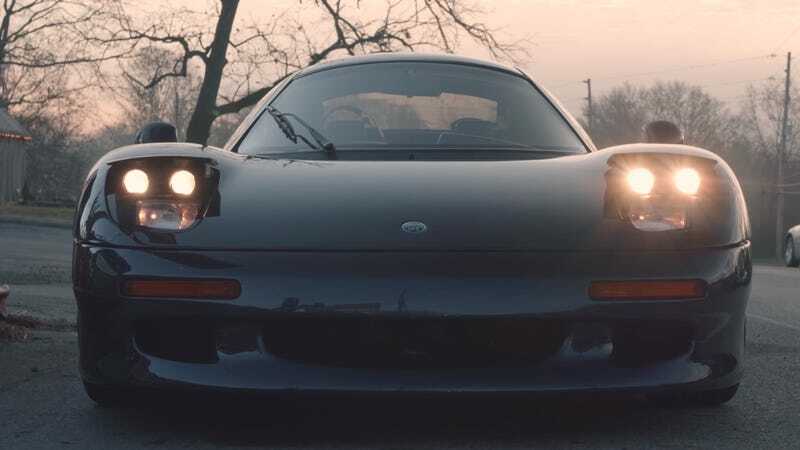 Tom Walkinshaw Racing subsidiary Jaguar Sport developed the XJR-15 as an actual race car for street use. Between 1990 and 1992, they built an incredible street-legal extension of the team’s Le Mans-winning XJR-9 prototypes. It’s got a detuned 6-liter V12, the same 6-speed non-synchro gearbox, and a similar carbon monocoque tub. This was the first all-carbon street car, and it looks almost as modern today as it was futuristic in 1990. That gorgeous swooping curvy design was penned by Peter Stevens, who later went on to give the iconic McLaren F1 its shape. Only 53 of these gorgeous Jaguars were built. With somewhere around 450 horsepower in a car weighing just over 2300 pounds, it’s no surprise it was capable of a 3.2-second 0-60 time, and a top speed over 190 miles per hour. These are relative unknowns in the supercar world, and very few people have ever even seen one in person, let alone discussed how they drive. That’s what makes this new video from Petrolicious all the more exciting to watch. Jasbir Dhillon is the enthusiastic owner of this relatively unknown Brit, and he’s more than happy to discuss the car’s provenance on camera. This is one of those cars that has presence and demands attention, so to find its way into the hands of a Jag enthusiast like his is truly special. I know I’ll be dreaming about that V12 wail all day.